TIG Welding (Tungsten Inert Gas) is an arc welding process using non-consumable tungsten electrodes to produce welds. Inert gases such as argon are often used as shielding gases to protect the weld area from atmospheric contamination during TIG welding. 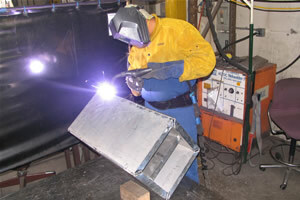 Filler metals are normally used, though certain TIG welds, called autogenous welds, do not require them. Pendarvis Manufacturing has been a leading provider of a wide variety of industrial manufacturing services, including TIG welding in Los Angeles and precision CNC machining, for over 25 years. Pendarvis’ expert welders are certified AWS Aluminum, AWS Structural Steel, and AWS Stainless Steel. In addition to their welding experience and certifications, Pendarvis has a Los Angeles fabricators license. Kurt Manufacturing has extensive welding and fabrication capabilities covering all types of ferrous and non-ferrous materials, including TIG welding, MIG welding, GTAW welding, GMAW welding and robotic welding. Kurt welders are certified to American Welding Society (ASW) standards and current military welding specifications. Innovative Metal Designs offers TIG & MIG welding services for automotive, military, aerospace, medical and industrial applications. TIG welding is most frequently used to weld stainless steel and non-ferrous metals such as aluminum, magnesium, and copper alloys. The TIG welding process allows for greater operator control of the weld than other welding procedures offer, and creates stronger, higher quality welds. TIG welding is comparatively more complex and harder to master than other methods, however, and is therefore substantially slower. Welding is a process that joins multiple pieces of metal together. In welding this is typically done by melting the different pieces of metal and adding a filler material to form a single pool of molten metal. When this molten metal cools and hardens, the result is a single contiguous joint. While a welding joint is not as strong as a contiguous piece of metal, the joint is far stronger than from other joining processes such as soldering. In the past welding was managed through a process known as forge welding, in which blacksmiths joined iron and steel through heating the metals and hammering them (applying pressure, which in addition to heat causes the welding process). 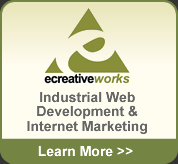 Modern welding techniques have advanced substantially and can involve slame, electric arc, lasers, sound waves, and even electron beams. Modern welders are capable of welding completely submerged under water and in the vacuum of space. Further, automated welding processes are now available, including robot welding.